Wouldn’t it be a dream if you could lose while you snoozed? According to the Sleep Doctor, this can be your reality. Check out how to achieve amazing results now. We all know just how important sleep is. 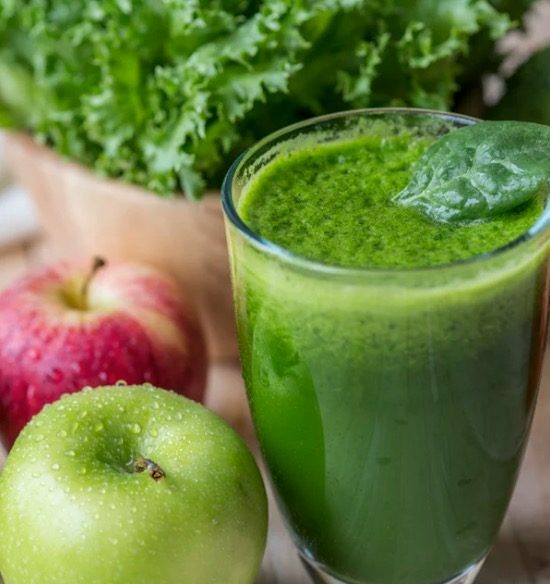 It’s the time that our bodies rejuvenate and refresh and it’s also the time that our bodies metabolism kicks into overdrive. Everything looks and feels better after a good night’s sleep! Your eyes and skin are clear, and your head will be too! 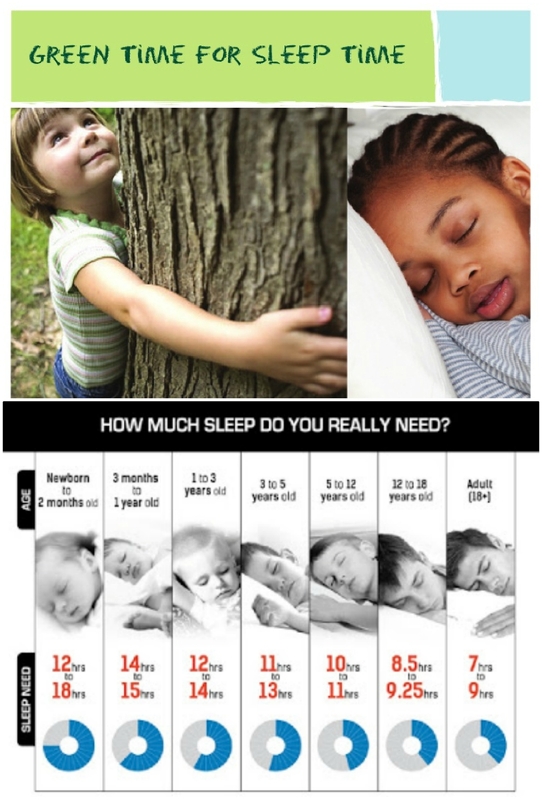 How much sleep do you get? It is suggested you need at least 8 hours a night. If you are not snoozing, you won’t be losing .. weight that is. In fact, studies prove that you will be gaining! Check out the chart above to see if you are getting enough .. if not it could be one of the major reasons that you can’t shift the kilos. Early nights will have a big impact on your weight loss goals. Hit the hay early and reap the benefits! Have you heard of Dr. Caroline Apovian? She has been on countless shows and she is a huge advocate of ‘shrink drinks’. Her Crisp Apple Smoothie is a great example. You may not be aware but after age 30, you lose 1% of muscle per year. In order to build muscle back up, you need protein. 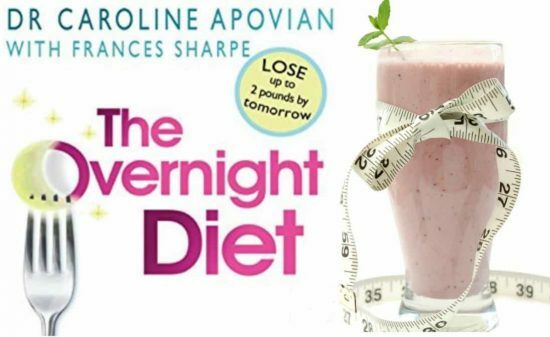 Dr. Apovian is so passionate she has written the best selling ‘The Overnight Diet’. It is important to remember that the quality of your sleep is integral to the success of this process. You need to ensure that you are getting a full night’s sleep. If you don’t, your sleep hormones interfere with your weight loss. While you’re here, check out this Fat Cutter Drink that we found on Youtube. add ingredients to blender and mix and serve. Take prior to going to bed and let it work its magic while you sleep! 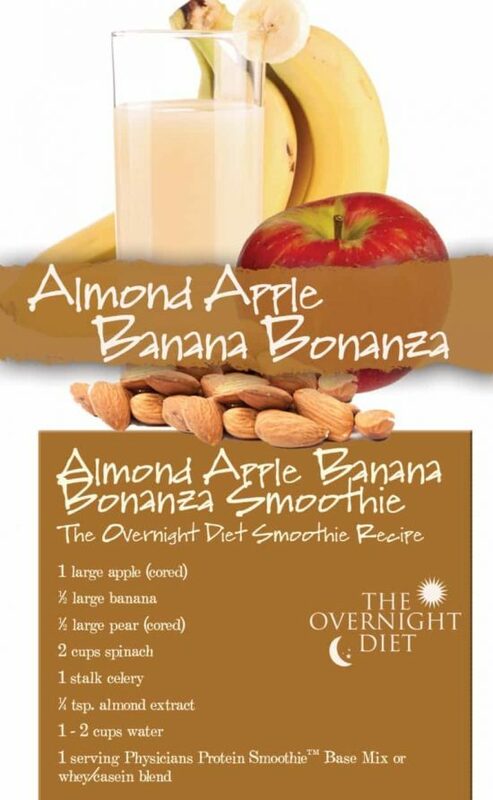 Here’s another of Carolines suggested Smoothies. This one uses Banana and Almonds and a Protein whey in the base. It also has pear, spinach and a stalk of celery. Here’s another great recipe that you won’t want to miss. 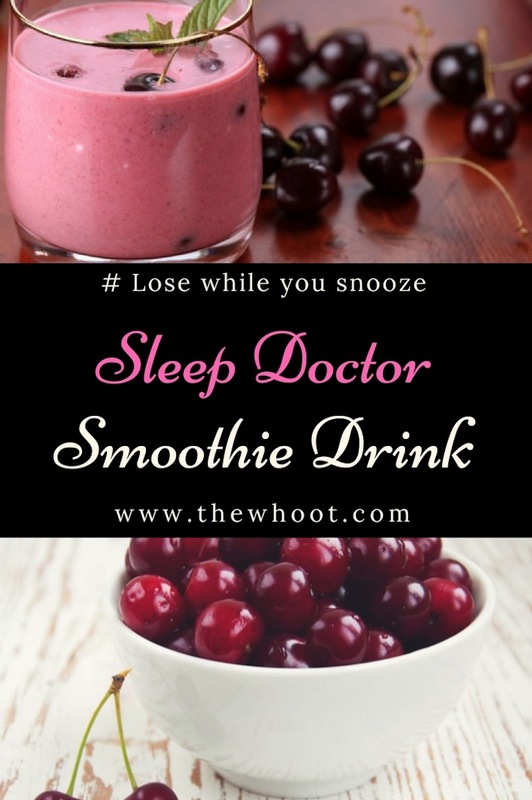 Check out the Sleep Yourself Slim Smoothie here.